Greetings, truth-seekers! Here’s part six of my up-dated, re-written, re-edited study on the rapture of the Church: the result of years of soul-searching and truth-seeking of my own. DO THE “GATES OF HELL” PROVE A PRE-TRIB RAPTURE? I’ve heard one popular minister draw attention to the fact that according to Jesus, the “gates of hell” would not prevail against the Church, and then claim that as Antichrist will prevail against the saints during the tribulation (Daniel 8:12; Revelation 13:7) the saints of Revelation cannot be the Church: the Church will be gone before the Tribulation. What will happen to the saints in Revelation? They will be persecuted and killed. So what’s new? Thousands or even millions of Christians have been persecuted and killed for their faith over the centuries since the time of Jesus, and are being killed today. So either Jesus was wrong to make this statement that the gates of hell would not prevail against the Church, or the martyrdom of saints is not the gates of hell prevailing against the Church! The Church will remain no matter how successful Antichrist will appear to be for a time. We see in the “Olivet Discourse” in Matthew 24 that Jesus spoke to his disciples as though they would witness the events of the Tribulation (see verses 15-27). He warned that at that time the love of most would grow cold, “but he that remains true to the end will be saved” (Matthew 24:13). Why would they have to remain true to the end if they were already in heaven? In Revelation 14, in the midst of talk of the beast and his mark (chapters 13 and 14), we read about 144,000 people standing on Mount Zion with the Lamb (14:1). Why are they called ‘first-fruits’ (verse 4), if they had already been beaten into heaven and the presence of the Lamb, by the rapture of the Church? Jesus’ mention of Noah’s escape from the Flood in his “Olivet Discourse” is seen by pre-Trib. teachers as type of a pre-tribulation rapture (Matthew 24: 36-39). “…and they knew nothing about what would happen until the Flood came and took them all away. That is how it will be at the coming of the Son of Man” (verse 39). 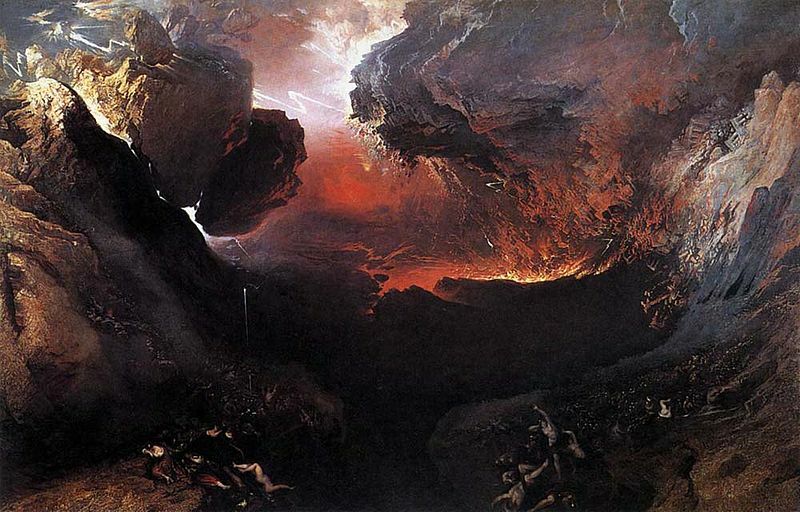 Similarly, the example of Lot’s escape from the destruction of Sodom in Luke chapter 17, is used to support a pre-trib. rapture. However, Lot left Sodom on foot, knowing that it was going to be judged that very day. The ungodly were living out their usual daily lives when destruction from the Lord took them by surprise (verses 28-29). They were appointed to wrath instead of salvation (1 Thessalonians 1:10). It’s significant that Noah entered the ark on the same day that the Flood came (Genesis 7:11-13), and not days or years before, and he was not taken into heaven. Similarly, Lot escaped from Sodom on the same day its judgment came without going to heaven. Do we really want to take these events as templates for the rapture? If so we would have to take the “mid-Tribulation” position, because Jesus said that the “time of trouble” (equivalent to the Flood and the destruction of Sodom) will begin when the antichrist enters the temple (Matthew 24:17 and 21). This will be three and a half years before Christ’s visible return, not seven or eight or ten years before it. Even in the words of pre-trib. “experts” the first half of the “seven years” will be a time of apparent peace and prosperity for the world: not the day of judgment, wrath and trouble. Antichrist’s power lasts only for forty-two months (Revelation 13:5). “…for you know very well that the day of the Lord will come like a thief in the night. While people are saying ‘Peace and safety,’ destruction will come on them suddenly…But you, brothers, are not in darkness so that this day should surprise you like a thief…” (1 Thessalonians 5:1-4). It’s a common view, as it was mine once, that when Jesus said ‘one will be taken, the other will be left’ (Matthew 24:40-41), he was speaking of a surprise rapture at some time before the Tribulation. Please refer to the above point, because Jesus had given the example of Noah and the Flood to show that it was necessary for his followers to be ready for his coming (verses 38-42). Jesus linked his “one will be taken” phrases to the example of the Flood taking unbelievers away, when he said “one will be taken, the other left”. This is the time of judgment-not a years before the event rapture. Noah knew which day the Flood was coming, (Genesis 7:4) and he purposely entered the ark on his own two legs, on the very day that judgment fell (Genesis 7:11-13; Matthew 24:38). Interestingly, Jesus said that believers in Jerusalem and Judea (called the ‘West Bank’ today) are to look for Antichrist to make his move, then get away from the area as quickly as possible (Matthew 24:15-21). If anything, we could take this passage as an evidence for the mid-Tribulation position. The warning that ‘one will be taken and the other left’, can still speak of imminence. Though believers will know that the signs Jesus foretold are being fulfilled, they will literally not know ‘the day or the hour’ that these events will begin, or when the rapture will come.